Bob led a mission to rescue Ethiopian Jews and resettle them in Israel. Sandy runs a popular social group for young widows and widowers of all faiths. 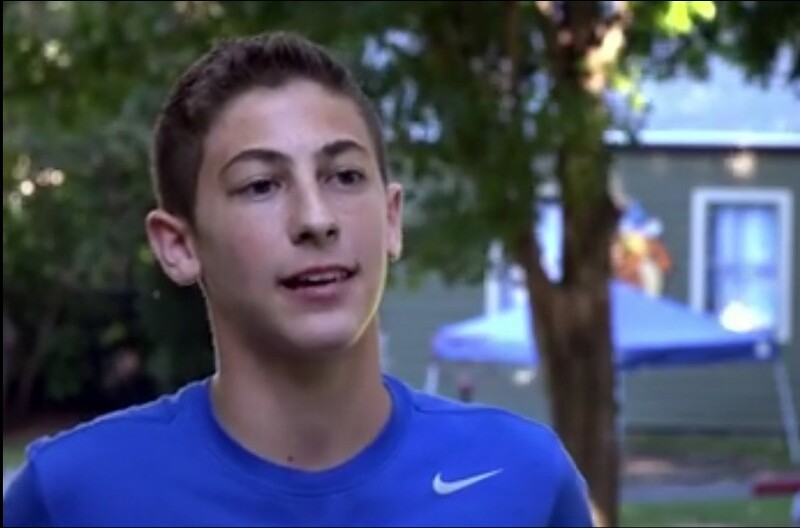 Jared is a teen athlete who looks forward to taking a break from sports and “unplugging” on Shabbat. These stories and more are part of the “Rockland and Jewish” social media campaign which reveals the compassion and diversity of Jewish individuals in Rockland, a New York county located 30 miles north of Manhattan. Launched in October, 2015 by the Rockland County Board of Rabbis, the “Rockland and Jewish” campaign showcases photo essays and video interviews collected from the county's residents and posted online at facebook.com/RCjewish. The effort was inspired by the Humans of New York project and aims to paint an accurate picture of Rockland’s dynamic Jewish community. Many believe that a highly-publicized conflict in the county's East Ramapo Central School District (between non-Jewish families who use the schools and a small Jewish sect that controls the school board) has impacted public perception of Jewish people in the county. "While certain Jewish communities within Rockland dominate the news, there is a very vibrant Jewish story not being told," says Beth Am Temple's Rabbi Daniel Pernick. "That story is found in a dozen Reform and Conservative synagogues, and at our JCC and other community institutions." The "Rockland and Jewish" online project at facebook.com/RCjewish has received widespread social media attention since its launch on October 7. The video and photo interviews that have been posted to the page have received approximately 25,000 views to date. The strategy was conceived of and executed by Beth Singer Design (bethsingerdesign.com), a communications firm working in the nonprofit and Jewish sectors. The videos and still photos were shot and edited by Milestone Video (milestonevideo.tv). The project was made possible by a generous grant from the Jewish Federation of Rockland County (jewishrockland.org) and the Rockland Jewish Initiative (jewishrockland.org/rji). Copyright © 2019 Jewish Federation & Foundation of Rockland County. All Rights Reserved.